Personalized Wildlife Paintings Calendars Custom Printed in Bulk. Very Inexpensive, Promotional. Lowest prices in USA and Canada. "Early Bird" special! 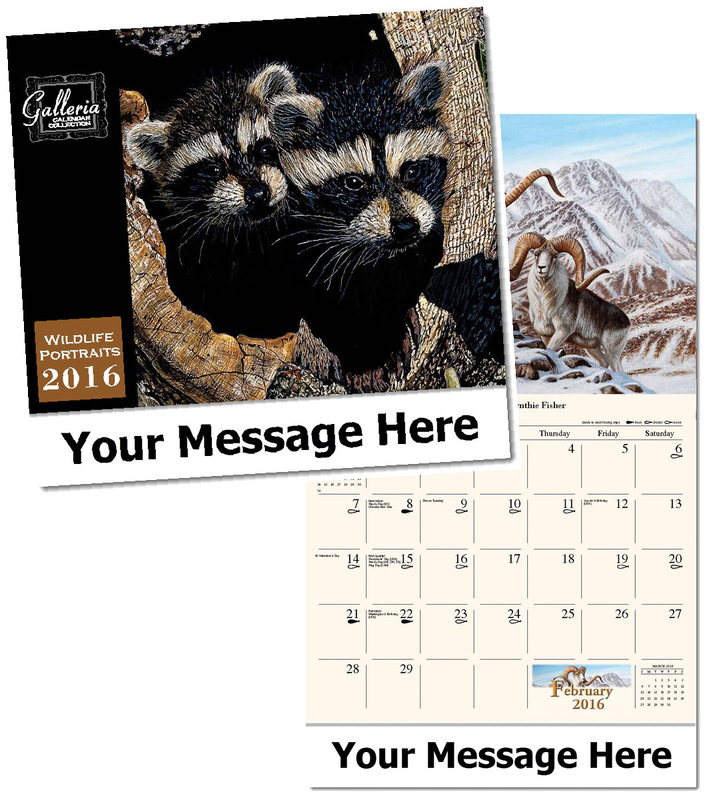 Bulk discount Wildlife Paintings calendars, personalized with your custom imprint . Original paintings of magnificent creatures in their natural habitats, coupled with descriptive monthly text will appeal to naturalists and hunters alike. The best days for fishing are shown each month. Best price in USA and Canada for wholesale personalized Wildlife Paintings calendars. Our high quality, low cost promotional WildlifePaintings calendars include both American and Canadian holidays. See our "Early Bird" deep discounts on our Price Table below. American clients pay no taxes. Free artwork design and free proofs!